Is it time for optimism for small firms? 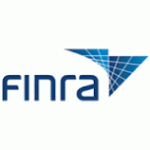 FINRA recently announced that Paige Pierce has won a seat on the FINRA board of governors to represent the roughly 3000 small firms that are still left. The SIPA has supported her in her past elections for the NAC and the board and we were proud to offer our support again. In past years, the SIPA has launched elections campaigns to try and influence the shape and the direction of FINRA’s governing body, but time and again we have been disappointed by the actions. Many of our own supported members spoke strongly and then carried no stick. To be fair to them, they are outnumbered by the rest of the board by 21 other board members so it is a tough task. However, they all knew the odds were against them going in and this is what they bargained for. Paige has been on the forefront on bringing meaningful change to FINRA on behalf of small firms. Specifically, PCAOB relief is on her plate and she has been meeting with congressmen and senators about this. With her new position on the FINRA board, we think it’s time to give her the support to go directly to the ‘big guy” himself in the White House and see if the business man in chief is interested in scaling back regulation on small firms so they can help the economy. There are many other areas of regulation that must be addressed as soon as possible. This may be our last chance to get meaningful change and would encourage all members to get involved, give her support and perhaps sign a reasonable and non threatening petition asking for certain regulatory reliefs. Congratulations to Paige for all her hard work, but now the real work begins. Too many former small firm governors have plotted the same old course in which they try to ‘”become friends” with other board members or try to acquiesce FINRA personnel with the hopes they will reciprocate. While there is a time and a place for that sort of politicking, the time for that approach is dead and buried along with about 800 small firms the last 10 years. We need clear action and relief now.